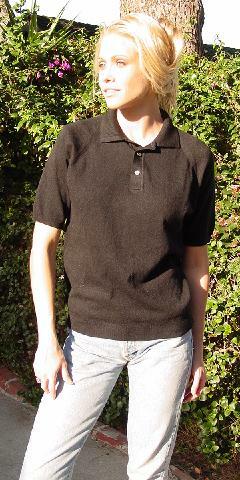 This vintage black short-sleeve shirt has a ribbed shirt collar, ribbed bands at the sleeve ends, and a 2" wide ribbed waistband bottom. There are 3 pearlized buttons below the collar. 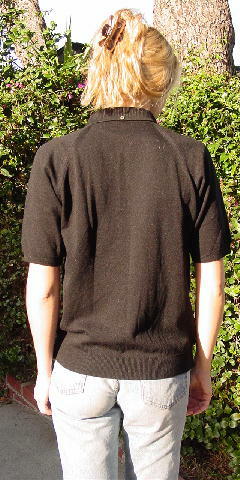 The back collar has one button. It's from a stylist's collection, and was used for pictures for a model's portfolio with black linen pants. neckline to end of sleeve 16"